If the issuance of security is for a select group of people, called Private Placement, please refer to our post here. 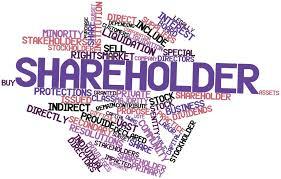 If you wish to issue shares to existing equity shareholders, then read on. When a company proposes to increase the share capital by issue of equity, convertible debentures (fully or partly), convertible preference shares to its existing equity shareholders, then companies (including private limited companies) have to comply with the new procedures laid out under Companies Act 2013. (Section 62 of Companies Act 2013 and Rule 13 of Companies (Share Capital and Debentures) Rules 2014 ). Preferential Offer means an issue of shares or other securities, by a Company to any select person or group of persons on a preferential basis and does not include shares or other securities offered through a public issue, rights issue, employee stock option scheme, employee stock purchase scheme or an issue of sweat equity shares or bonus shares or depository receipts issued in a country outside India or foreign securities. ESOP, issuance of shares for consideration other than cash, sweat equity issuance has slightly different procedures and we would like to capture them in a separate post. Companies listed on the stock exchange have different processes from what are described below. For a pro-rata issuance of equity and securities converting into equity, to current equity shareholders in the company, then the shareholders of the company has to approve through a special resolution, at least 3 days prior to such offer. The Articles of Association has to have an enabling provision. – Since the Act specifies pro-rata, it further goes on to prescribe the timelines for acceptance or renouncing the offer and how the Board of Directors can deal with the renounced offers. If at the time of issuance of the convertible debentures or loan, the company had obtained a special resolution, then at the time of conversion to equity, there is no requirement of additional approval from shareholders. However, as a transition into the new Act by private limited companies, then shareholder approval (Special resolution) at the time of conversion may have to be in place. – The price for the security offered has to be supported by a valuation report by a Registered Valuer. – The validity for such Special resolution is 12 months, within which the company has to complete the allotments. – The securities allotted has to be fully paid-up (i.e. it cannot be partly-paid for). – the justification for the allotment proposed to be made for consideration other than cash together with valuation report of the registered valuer. – The pre issue and post issue shareholding pattern of the company. If the offer is made for sweat or for other than cash, then there are other steps to be followed. Author: Geetika Chandel, Associate at NovoJuris. This entry was posted in Articles and tagged the companies act on April 4, 2014 by novojuris.